Discussion in 'Science Fiction' started by Safari Bob, Oct 31, 2018. I am starting Silverthorn tomorrow. What are you reading this month? I am about to start Thin Air, Richard Morgan's return to sci-fi. I have practically finished "The Shadow of the Torturer" I have also started reading Forty Thousand in Gehenna by C.J. Cherryh which I'd like to complete before jumping into Wolfe's The Claw of the Conciliator. Boreas and Safari Bob like this. Oh my! I may have to re-read Wolfe next. I'm almost done with The Stone of Farewell, the second instalment in Tad Williams' Memory, Sorrow and Thorn trilogy. Enjoying it very much. 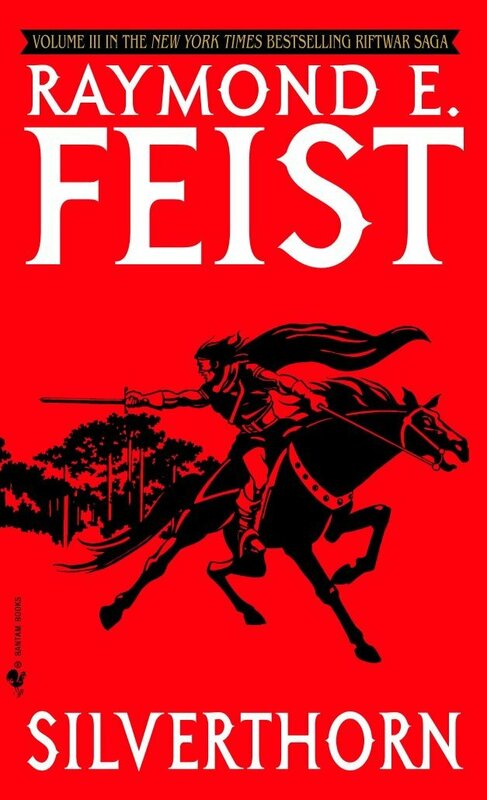 @Safari Bob, how is your Raymond E. Feist marathon coming along? I remember reading Magician in 2000, but I never did continue with the sequels. Are they good? @kenubrion, is the new Morgan book worthwhile? I've realised lately that I have very little inclination to read anything more by Morgan these days. Maybe I should go the audiobook route with him if I don't mind the narrator. @kenubrion, is the new Morgan book worthwhile? I've realised lately that I have very little inclination to read anything more by Morgan these days. Maybe I should go the audiobook route with him if I can don't mind the narrator. I read all the Riftwar and Darkwar sagas. I don't know if they are particularly "good" (other than The Magician) but I enjoyed the nostalgia. I just never could get into Tad Williams. Dunno why. I tried reading Tad Williams as a teenager and got stuck somewhere around the 100-150 pp. mark of The Dragonbone Chair. It was just so slow and spent all of that time in drawing out all these minute details of setting and historical background. My opinion has changed now. I rather liked how slow and methodical it was. And the strange thing is that while I initially found it to be very conventional fantasy with decent but not spectacular prose, I'm now finding that it really does reach moments of descriptive heights that are quite affecting. One of my favourite chapters in Stone of Farewell is where one of the main protagonists, Simon, is lost and wandering a frozen wood for some seven or eight days, slowly starving, trying to stay alive, but where his mind is already deteriorating to a point that signals a kind of madness foreshadowing death. I actually thought that sequence ended a little too soon and should have been extended, but oh well. What I'm particularly liking is how family-friendly these books are, but I'm constantly finding subtle passages that offer an undertone of darkness and also psychological maturity. So, yeah, I'm enjoying it much more than I expected I would. I read most of these many years ago. I like Feist. Magician, Silverthorn, A Darkness at Sethanon are all good. Prince of the Blood is okay if a little weak in places. King's Buccaneer I like better than everything before it. The Empire series is also good. Then we hit the Serpentwar Saga and things get a little spotty. Shadow of a Dark Queen is good, Rise of a Merchant Prince is decent, and Rage of a Demon King is okay, and then #4 Shards of a Broken Crown is the first one I really did not like. I have not read many of the ones that came after it, but of those I did, Talon of the Silver Hawk was terrible, the worst Feist I've read. 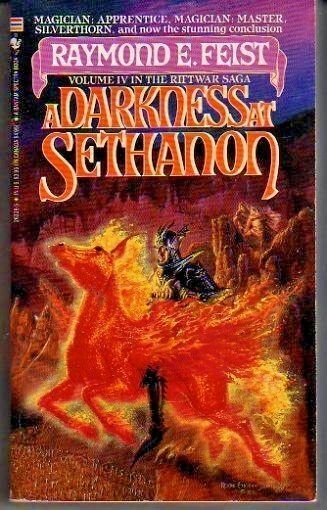 I read the whole Dragonbone Chair and sequels, and found it mediocre. It's okay, and I've certainly seen worse, but it sure drags a lot. I've also read Wolfe's Books of the New Sun. The first 4 are great, and the first half of the final one is very good. Only C. J. Cherryh I've read is the first few chapters of Downbelow Station. Sure, it won a Hugo, but it has so far not hooked me. Very remote start, and I only just reached the part where individuals are appearing when I set it aside.